I found M. in a park close to Red Crowd’s centre for minors in Paris. He was sleeping in the park for few days after he was tossed out of the centre d’hebergement for isolated refugee minors; 90% of the kids who apply there are refused. He is wearing several layers of clothes, pants, jackets, and he is so thin that it all hangs oddly on his body. 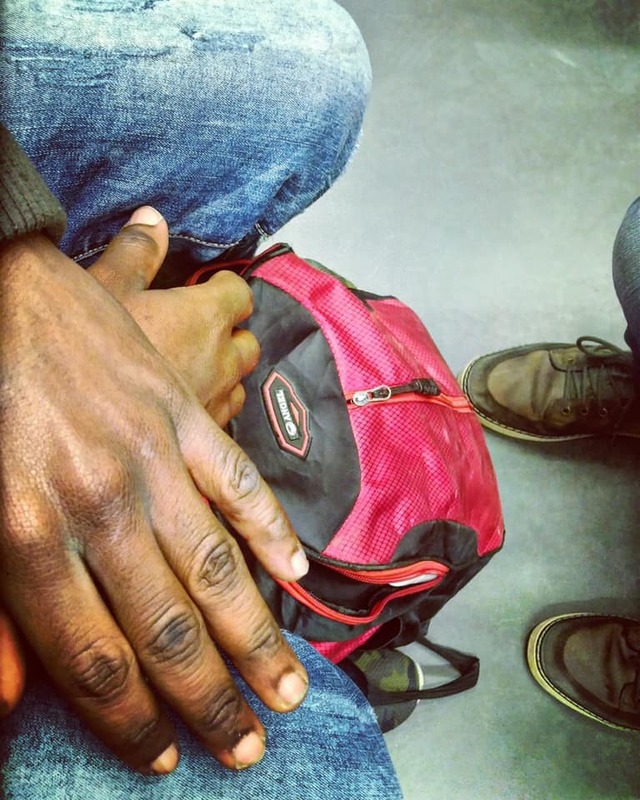 This boy is 17 years old, he took a long path to come to France, he is afraid and exhausted. While I was trying figure out what happened to his case, he tried to explain, nervously and filled with shame, why he is sleeping in the street. He didn’t have an original birth certificate, just a photo that he shows me, and by that I can see he is a minor. He is from Gambia and be doesn’t speak French but a version of English with strong accent. This kid can’t understand why is he was thrown out, or what is it that he did wrong. He is tortured psychologically, as he is trying find sense and meaning in everything that has happened to him, and the worst part is that he feels guilty for something he has no control over. He is stuck in a loop, reliving recent events and his interview, and he is constantly trying to justify himself, even though he has done nothing wrong. The damage that has been done to kids like him by this awful process of asylum seeking is beyond repair and beyond belief. He is in safe place for tonight, but we don’t know what will be tomorrow.